A troubled, young widow hikes from Yosemite Valley deep into the wilderness on the John Muir Trail to elude her shameful past in this emotionally gripping story from the author of House Broken. With her thirtieth birthday looming, Liz Kroft is heading for the hills—literally. 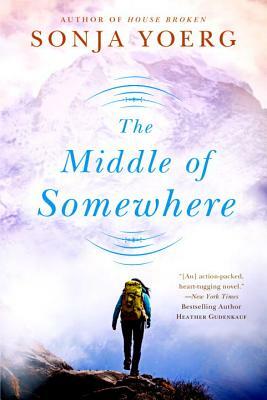 Her emotional baggage weighs her down more than her backpack, but a three-week trek promises the solitude she craves—at least until her boyfriend, Dante, decides to tag along. His broad moral streak makes the prospect of confessing her sins more difficult, but as much as she fears his judgment, she fears losing him more. Maybe. They set off together alone under blue skies, but it’s not long before storms threaten and two strange brothers appear along the trail. Amid the jagged, towering peaks, Liz must decide whether to admit her mistakes and confront her fears, or face the trail, the brothers and her future alone. Sonja Yoerg grew up in Stowe, Vermont, where she financed her college education by waitressing at the Trapp Family Lodge. She earned her Ph.D. in Biological Psychology from the University of California at Berkeley and published a nonfiction book about animal intelligence, Clever as a Fox (Bloomsbury USA, 2001). Sonja, author of the novel House Broken, currently lives with her husband in the Shenandoah Valley of Virginia.